New pictures coming soon. The owner has updated some furniture and linen since the pictures were taken (3 years ago). 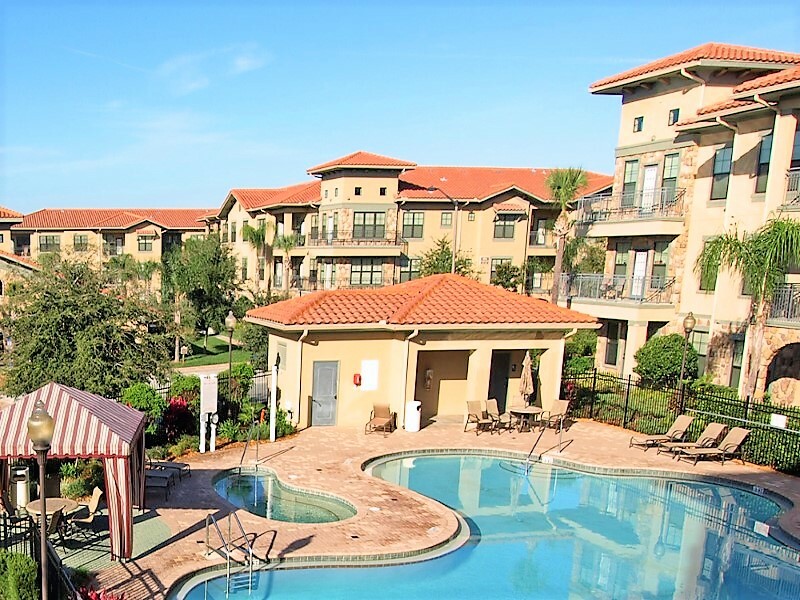 This wonderful condo is located closed to all parks and stores in the "mediterranean-style" subdivision of Bella Piazza and can accomodate up to 6 guests. 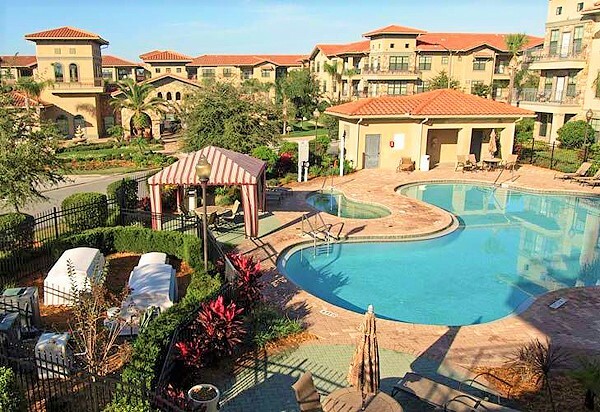 Bella Piazza’s resort facilities include a spacious clubhouse, game room, business center, two resort-style pools, outdoor spa, children’s water playground at the main pool resort complex, fitness center, 2 outdoor kitchen and BBQ grills - one in the main clubhouse resort complex and another in a smaller resort complex - all this set in lush tropical landscaping. The unit comes with 3 bedrooms and 3 bathrooms. Each bedroom is provided with high standard amenities. 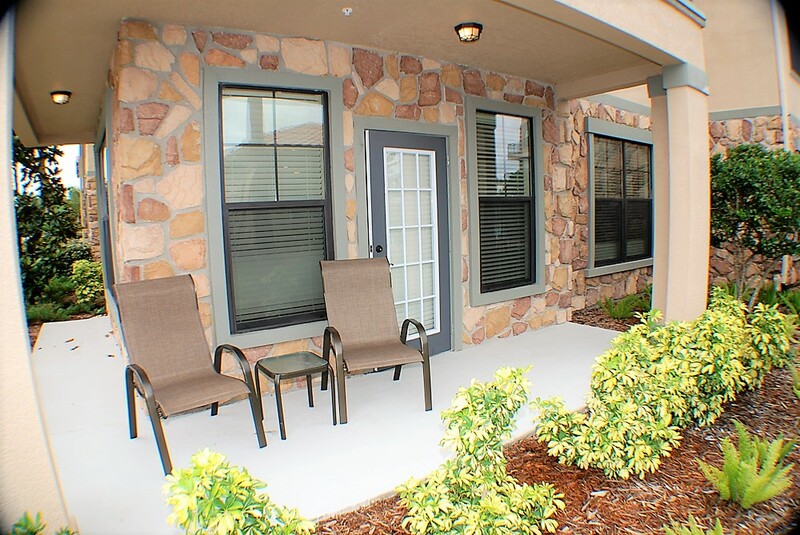 The living area is fully-furnished with comfortable sofa and loveseat, chair and flat-screen television. The interior of the unit includes formal dining area that can accommodate 6 persons, breakfast bar with 2 bar stools and a kitchen that is provided with complete cooking amenities. The bed configuration comes with a master suite with king-sized bed, the second bedroom has a queen-sized bed and last is the twin bedroom with 2 twin beds. After a busy day in the parks or shopping in the outlet stores, a lanai with coffee table is the perfect place to relax. 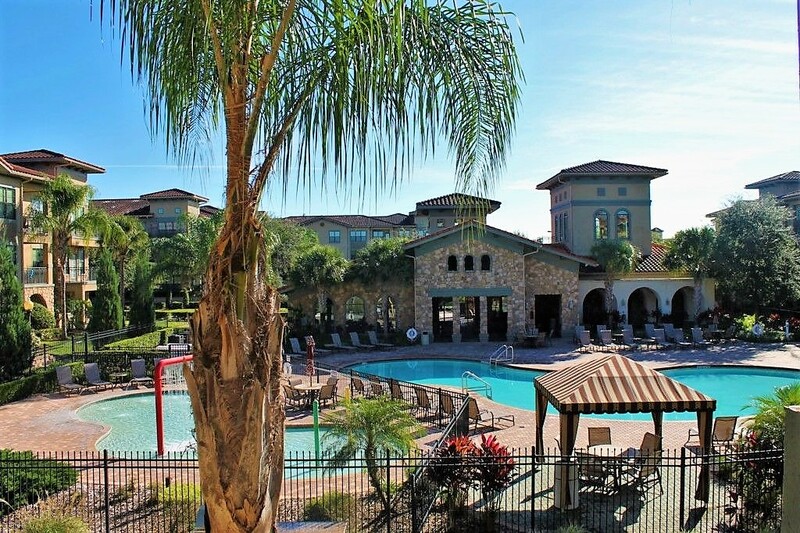 The community is just a few miles drive away from the famous attractions (Disney: 15 min - Golf courses: 5 minutes).